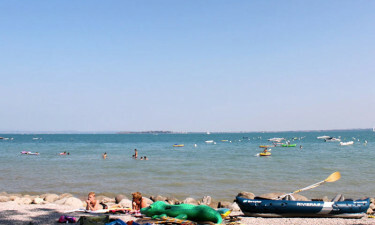 Lovers of luxury camping who also enjoy spending time messing about on the water are sure to enjoy the location of Camping Piantelle, as it can be found right on the shore of the large and lovely Lake Garda in Italy. This impressive LUX-Camp has an excellent range of facilities and services, such as swimming pools, aqua aerobics and organised football matches that are designed to help visitors get the most out of their holiday. 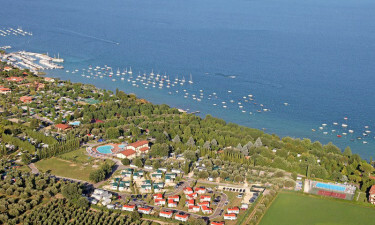 Lovers of luxury camping will enjoy the location of Camping Piantelle, as it can be found right on the shore of the large and lovely Lake Garda in Italy. What makes a camping holiday at Camping Piantelle so special? People who choose to rent a mobile home at this luxury camping site will find that a beautiful pebble beach is just a short stroll away. This private beach stretches along the shore for 200 metres and is lapped by shallow waters that are safe for the children to splash around in. Lake Garda is famous for its impressive range of water sports opportunities that include surfing, waterskiing and kayaking. People who really want to explore this large and lovely body of water in style can choose to hire a boat from the nearby Moniga Harbour. The site also boasts a large number of mooring buoys that are suitable for boats measuring up to 7 metres in length. Visitors can rent boats for several days if they wish to truly get to know this impressive part of Italy at their own pace. The kids will also find plenty of other activities to take part in while enjoying their stay at Camping Piantelle. 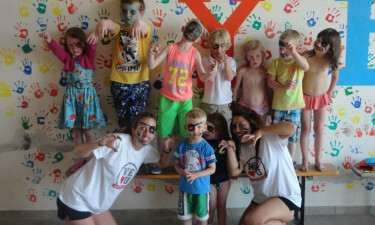 The dedicated Kids Club is designed for children of all ages and some of the activities that are on offer include face painting, arts and crafts, and sports. The whole family can have fun together in the evening as the team provides family-friendly entertainment in the form of stage shows and dancing that will help to make some magic moments that will never be forgotten. 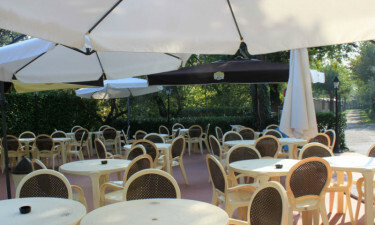 The onsite restaurant is the perfect place to sample home-cooked Italian dishes that include pizza, pasta or fresh fish, caught from Lake Garda and prepared in a number of different styles. A selection of beers, wines and cocktails is served at the bar throughout the day and in the evening, while people who are looking for a lighter bite can take their pick from the goodies that are served up at the snack bar, which is set beside the outdoor swimming pool. Preparing a nutritious and delicious meal for all the family has never been easier, as the snack bar and restaurant offer takeaway options. The onsite shop also sells a selection of fresh produce and groceries, including freshly baked croissants and bread, to help visitors put together a meal or picnic to enjoy beside the lake.